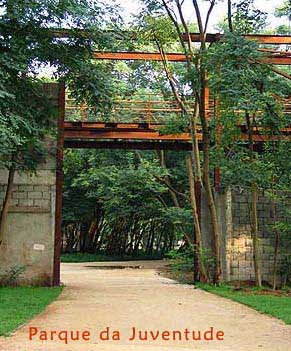 Bang Kwang Prison : (Thailand)- Known as the “Bangkok Hilton”, Bang Kwang is understaffed, overcrowded, and filled with inmates who struggle with insanity as they spend the first months of their sentences chained in leg irons. 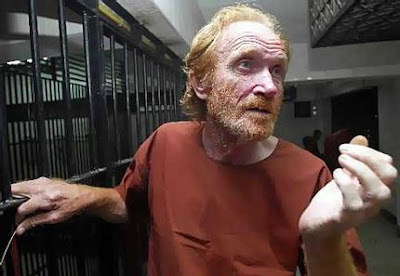 The Thai culture doesn’t believe in coddling prisoners, and, in the words of Director of Prison Khun Nattee, “Thai prisons are tough…you don’t want to be in Bang Kwang.” Poor medical care is standard at this prison, with sick inmates shackled to their beds as they wait for medicines they probably will never get. If you find yourself on Death Row at Bangkwang, you will have leg irons welded on until your execution, and you will be given only two hours notice before dying by lethal injection. Carandiru Prison : (Brazil) - The body count was sky-high at this notorious Brazilian prison, where riots in 1992 triggered a massacre of the general population by local police: inmates, who had already given in and surrendered to police, were shot as they cowered in terror in their tiny cells. Deaths at this facility are thought to be as many as 1300 over its 46 year history: the reign of terror by prison officials was stopped in 2002 when the prison was closed, amidst campaigns from Amnesty International, and reports of gross human rights violations that could not be quieted by Brazilian officials. The violence wasn’t the only thing threatening the unfortunate residents of this dark place: an AIDS epidemic at the facility spread rapidly, with as many as one in five of the inmates suffering from the disease. 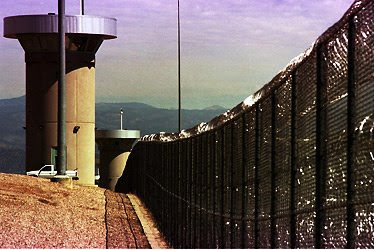 ADX Florence Supermax Prison : (Colorado) - This prison was built in response to the violent attacks on guards and prison staff at other US prisons - it was meant to be the ultimate deterrent, a place where inmates were completely isolated from prison staff, and left to live in slow psychological torture as they spent 23 hours a day in barren cells. Inmates at ADX are the worst of the worst, often repeat offenders who have killed or injured other inmates, or even prison guards, during their time in other institutions. Describes by inmates as a nightmare vision of punishment, “meant to inflict misery and pain”, this “clean version of hell” is also a violent place, despite all the steps taken to segregate and isolate the general population. In its 13 years of operation, two prisoners have been killed at ADX Florence. Another prisoner, named Lawrence Klaker, was shot and injured as he entered the Supermax prison for the first time: he later killed himself within prison walls. Alcatraz Island Prison : (San Francisco, CA) - This prison, known as “The Rock”, or “Devil’s Island” was built to house the criminals of the 1920’s, who broke laws during the times of Prohibition leading into the Great Depression. 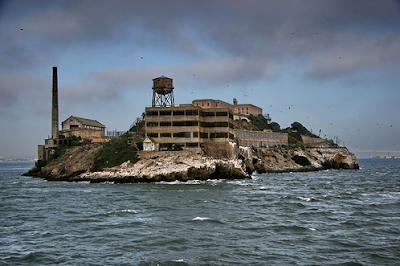 Another study in stark, soul-destroying discomfort and isolation, Alcatraz was known for its unique design, which made escape almost unthinkable. Inmates had no contact with the world outside the prison gates, and suffered harsh discipline from prison officials, as well as an inhumane policy of “silence” that forced prisoners to forgo speech for long periods of time. As can be expected, this was no boon to mental health, and many inmates went insane as they were forced to endure the stringent conditions of the prison without any conversation or other release of their emotions. The prison was shut down in 1963, but its grim legacy lives on, in film and legend. 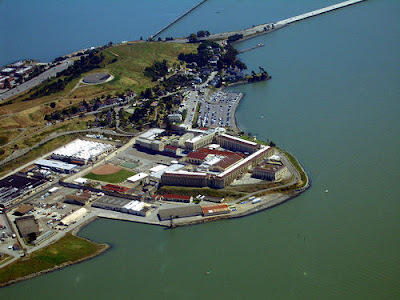 San Quentin Prison : (San Quentin, California) - In the 1930’s, San Quentin was rife with corruption by management, until a new director, Clinton Truman Duffy, appalled at the inhumane conditions at the prison, decided to implement reforms in the 1940’s. 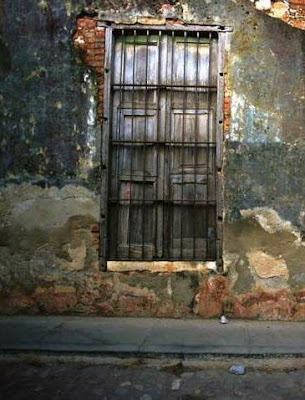 Prior to his appointment, prisoners made counterfeit currency in the prison shops, had their heads shaved and were forced to wear numbered uniforms, while eating out of pails and enduring solitary confinement in poured-concrete cells that had little air and no light. Even a petty offense to prison regulations would land an inmate in solitary, and race riots would put inmate lives at risk on a regular basis. San Quentin is still a harsh environment, filled with California’s most violent offenders, and the high ratio of guards to general population, just barely keeps the prison system from spiraling out of control. Diyarbakr Prison : (Turkey) - This prison has been cited for its human right violations, which are thought to cross the line into true atrocity. From 1981 to 1984, 34 prisoners lost their lives due to the excessive instances of torture, both mental and physical, practiced at Diyarbakir. This prison is notorious for the sexual abuse of its inmates, and its unlivable conditions. Prisoners have attempted hunger strikes, set themselves on fire in protest of prison conditions, and committed suicide in order to escape the horrors of this Turkish facility. Diyarbakir is known to incarcerate mere children for sentences of life imprisonment, and its “crimes against humanity” make it one of the word’s most sadistic and forbidding penal institutions. La Sabaneta Prison : (Venezuela) - Venezuela is known for its brutal prisons, where violence is a daily occurrence, and inmates are at the mercy of disease outbreaks, underpaid staff, little medical services, and insufficient food and care. La Sabaneta is the worst of the worst, a place where cholera outbreaks have wiped out 700 inmates, amidst “appalling violence” and riots that triggered a horrific massacre of 100 inmates back in 1994. Death is rampant at La Sabaneta, and the hair-trigger tempers of inmates and staff are thought to be linked to idleness and boredom, as no activities are permitted to release tension: left to their own devices, prisoners fight amongst themselves, fashion shivs and other deadly weapons, and kill one another in this truly archaic penal facility. La Sante Prison : (Paris, France) - According to whistle-blower and former prison official Veronique Vasseur, this prison was a hellhole, where prisoners were forced to live out their sentences in concrete cells full of rats and lice. Inmates were prone to lose their sanity as they dealt with the harsh daily realities of life at La Sante - which translates, ironically, to “health” in the English language. The well being of inmates was very low on the list of priorities for the French administrators of this torture chamber on a grand scale: weaker inmates were routinely enslaved by stronger ones, and rapes were a daily event at the prison. Suicide was rampant at la Sante, with a staggering 122 self-inflicted deaths of prisoners in 2002, and 73 more by mid 2003. The tendency to suicide could be linked to the terrible living conditions that plunged inmates into clinical depression: overcrowding, understaffing, and prison violence led these people to swallow drain cleaner in order to end their suffering once and for all. 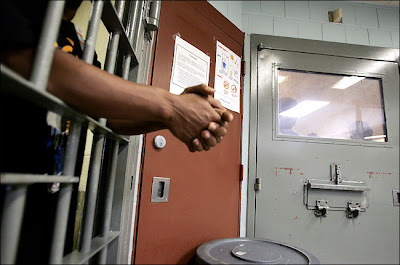 Rikers Island Prison : (Rikers Island, New York) - Stabbings, beatings and brutal treatment from prison guards characterize this American prison. Filled primarily with offenders who are visible minorities, jailed on drug offenses, the prison is a hotbed of violence and aggression. In 2007, prisoner Charles Afflic was beaten senseless with a billy club by a prison official, who hit him repeatedly from behind: his injuries were so severe they necessitated brain surgery. 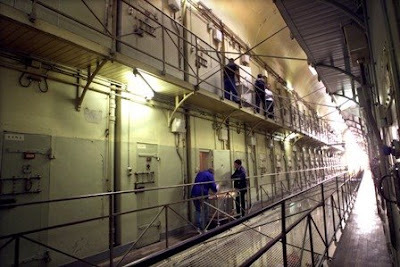 6 inmates committed suicide, hanging themselves with bedsheets in their cells, during the first six months of 2003 alone. Rikers has a reputation for its cruel treatment of mentally ill prisoners, who often turn to suicide in lieu of treatment and understanding. Tadmor Prison : (Syria) - The death count may not rank Tadmor Prison as number one on this list, but no other prison sent such shivers down my spine as I did my research. 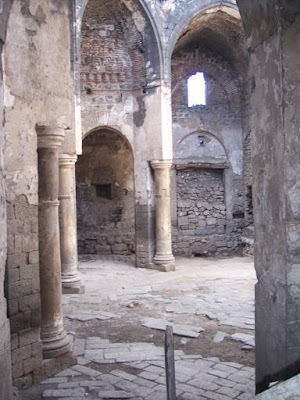 The violence at Tadmor is so gruesome and utterly merciless, I felt sick reading about it. 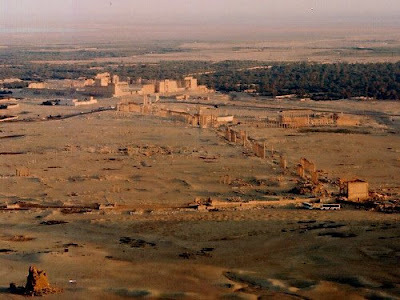 Described as a “kingdom of death and madness” by a former detainee, Tadmor features bloodthirsty guards who butcher inmates with axes, and political prisoners (read: non violent protestors) who are starved to concentration camp emaciation by prison administrators. In 1980, after an assassination attempt on the President (in Damascus), inmates were made to pay the ultimate price as commandos landed at Tadmor in helicopters, and butchered as many as 500 prisoners in their cells: this “warning: sent a clear message to Syrians about staying in line. When guards are not busy tying up inmates and dragging them to death, they can be found chopping up body parts in one of the prison’s several courtyards.